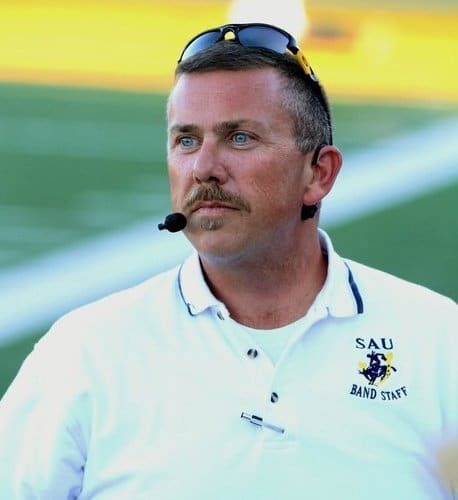 Mr. Wilson has served as the Director of Bands in the SAU School of Music since 2000. 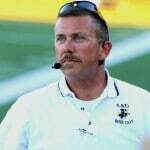 Before joining the faculty at SAU he served as Assistant Director of Bands at the University of Louisiana at Monroe. He directed highly successful band programs in Arkansas and Louisiana. At SAU he is director of the SAU Marching Mulerider Band and conducts the Symphonic Wind Ensemble. Mr. Wilson also teaches Instrumental Conducting, Methods and Materials of instrumental music, Marching Band/Drill Design Techniques and Orchestration/Arranging. He has served as guest clinician and adjudicator throughout the south. 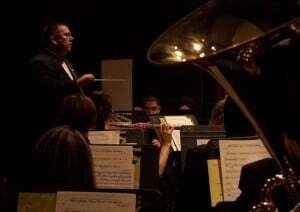 He served as principal tuba in the Monroe Symphony Orchestra and is an active soloist. His professional memberships include CBDNA, Phi Beta Mu, Arkansas School Band and Orchestra Association, Arkansas Bandmasters Association and is a past president of Kappa Kappa Psi Southwest District. Mr. Wilson is both an honorary member and sponsor for the Delta Chi chapter of Kappa Kappa Psi and an honorary member of the Gamma Omicron Chapter of Tau Beta Sigma.